1. Remove the outer layers of the butter lettuce and remove the light green and crispy leaves from the heart for the salad. 2. 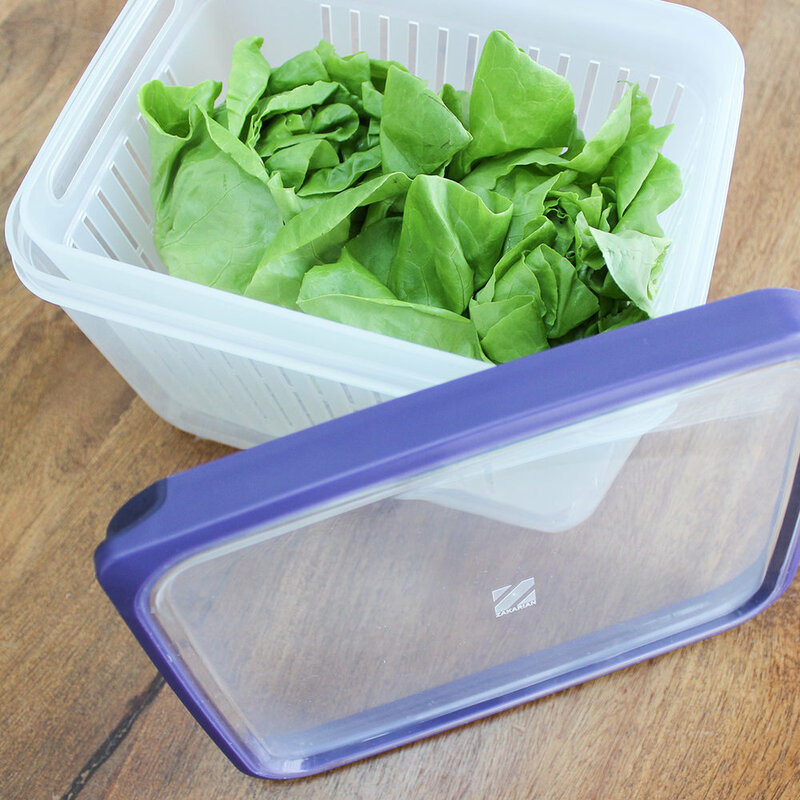 Fill the EXTRA LARGe Pro Home container (with removeable basket) ½ way with cold water, and place the lettuce into the container to wash the lettuces. 3. Remove the basket along with the lettuces, leaving any impurities behind. Place the basket on a towel to drain. 4. Rinse the container and wipe dry. Add the shallots, dijon mustard, and vinegar to the bottom of the container, toward the corner. 5. Whisk the mixture until combined and slowly drizzle in the olive oil. Season with salt and pepper, and add the tarragon. 6. Add the lettuces back to the container, leaving the basket behind. Season the lettuces with salt and pepper, and cover. Shake until the dressing is evenly distributed. 7. Transfer to a salad bowl, or serve in the Pro Home Container EXTRA LARGE container.